Meet our Governors, if you would like to speak to any of them or if you are interested in becoming a school Governor, please enquire at the office. Governors are a very special part of our school. Cllr. Amanda Hopgood, Chair of Governors. Mrs Lesley Joyce, Vice Chair of Governors. 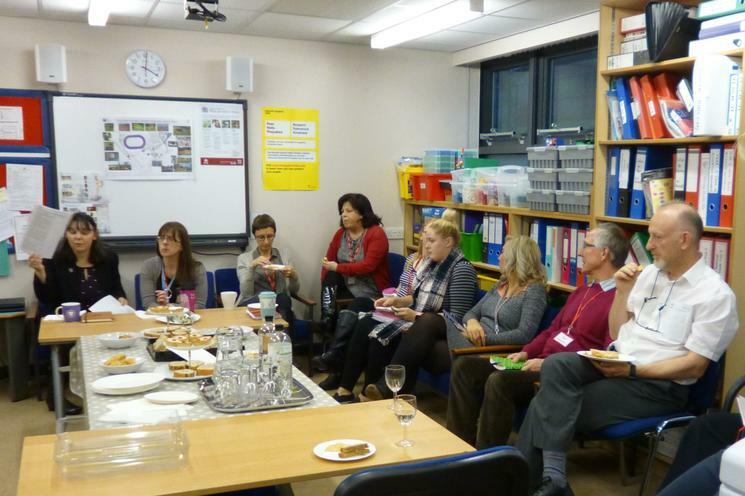 Staff and Governors met to talk about their roles, responsibilities and interests prior to doing a "learning walk" around school. 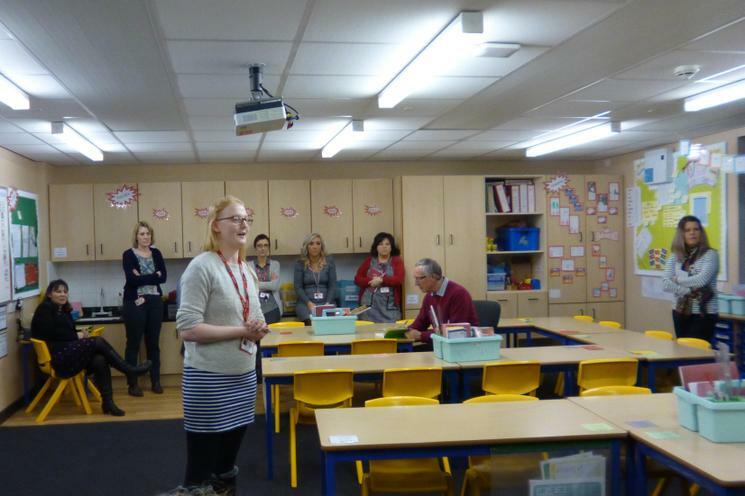 They visited all classrooms and each teacher gave a short introduction to their own area as well as talking about our key priorities reading, maths and writing. 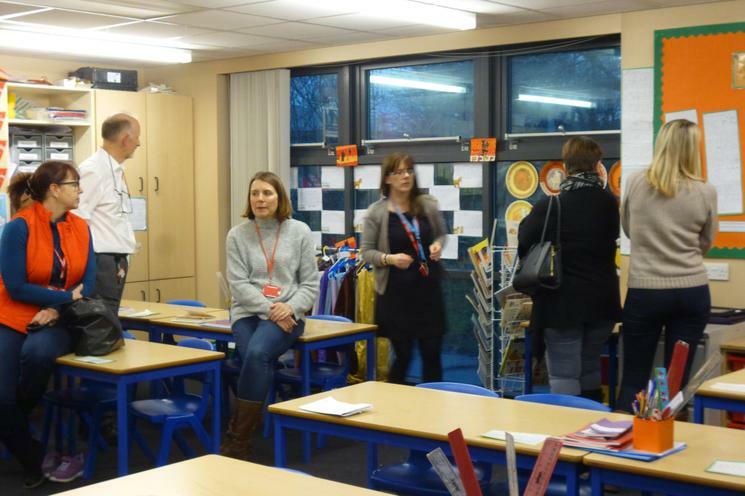 All staff, teaching, support, admin and school leaders answered questions from Governors who not only enjoyed the tour but also got a very good understanding of what a meaningful, broad and balanced curriculum we have in school. They also learned more about how our key priorities are addressed in each class. 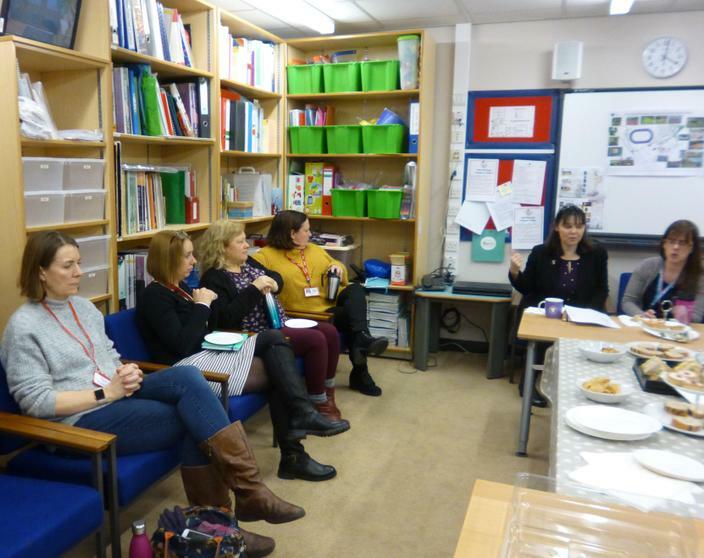 Governors then stayed in school to undertake training about their role in the Ofsted Process which was led by our Education Development Partner. Mrs Amanda Hopgood - I became a governor in 2006 and currently have the privilege of being the Chair of the Governing Body. I, my family and both my children attended Finchale. I was a mortgage advisor and am currently a County Councillor representing the Newton Hall ward. Along with two other governors, I set up and oversee the running of Canterbury Kids Club which is the before and afterschool club available for children at Finchale. I am also involved in the Durham County Credit Union running the weekly collection point in school for the children's savings accounts. Mrs Lesley Joyce - I became a governor in 2011. I have two daughters who both attended Finchale. Being able to take an active role in their education by being part of the governing body was and still is very important to me. I work part time as a Senior Researcher with Proctor and Gamble at their Newcastle Innovation Centre. 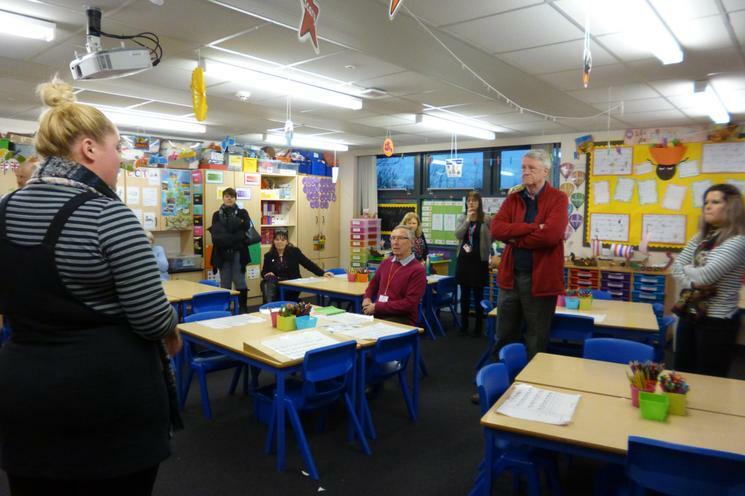 Dr Sandra Whitton - I am proud to say that I have been Head Teacher at Finchale Primary since January 2006 and during this time the school has undergone some significant developments. 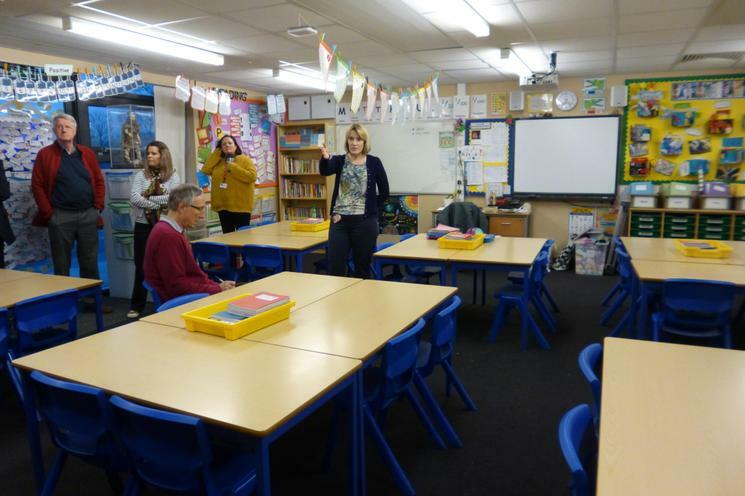 The Governors work tirelessly to support the education and well-being of our pupils and to ensure that not only do they have the best possible facilities within which they can learn, they have the best possible staff to ensure this happens! Mrs Lesley Hamill - I became a parent governor in 2013 and currently have three children in school. I am a trained secondary languages teacher. I very much enjoy teaching French at Finchale on a voluntary basis, and helping out with school trips. Mrs Kate Hall - I have been a governor since March 2012 and as well as attending myself many years ago, I now have two children at Finchale Primary School. I am a parent helper, which I thoroughly enjoy, and am also currently an active member of the PTA. I work part- time as a Finance Director for a consultancy company of which I am also a part- owner. Mr James Wolsey - I have been a governor at Finchale since 2000. My first career was in Social Work, where I specialised in children and mental health. I am a retired lecturer from New College, where I taught Psychology and Social Work Practice. At Finchale I enjoy filming school performances, editing these, and producing DVDs for sale to parents/carers and families. Mrs Anna-Lise Lennox - I became a governor at Finchale Primary School in 2018. 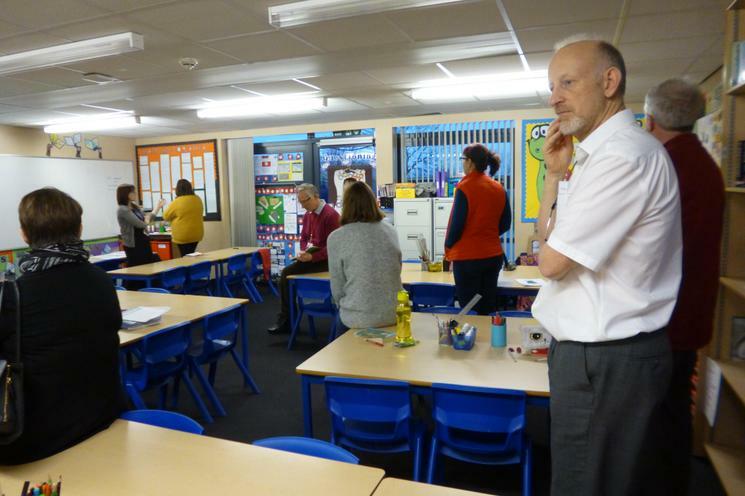 I have worked at Finchale since 2012 in a variety of teaching roles. I am currently the English Co-ordinator and take an active interest in the School Council and also lead in KS1 SATs. Cllr Mamie Simmons - I became a Local Authority governor in 2008 after having been a Governor several years previously. I have lived in Newton Hall for 38 years. I taught in both Primary and Secondary Schools and was a headteacher in a Primary School with a Nursery before I retired in 1994. I am a County Councillor and for several years I was Chairperson for Newton Hall Community Association. Mrs Margaret Sleeman - I have worked at Finchale since 2007 and am currently the Deputy Head Teacher of our amazing school. As well as being the Deputy Head Teacher I am also a class teacher and responsible for Data, Assessments and Numeracy. 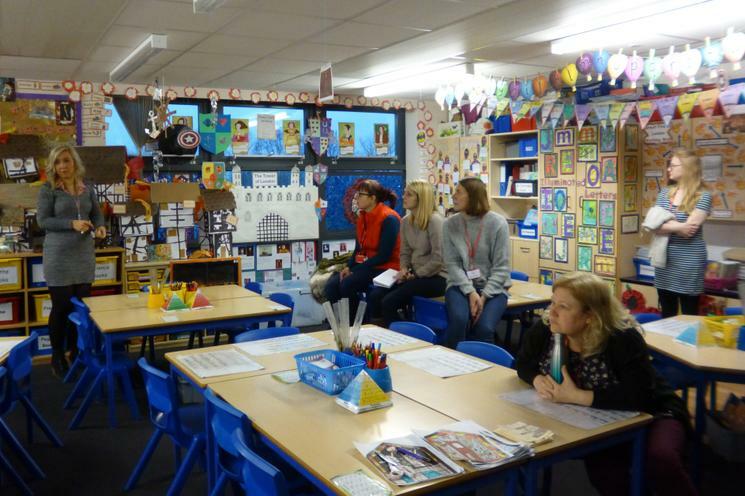 Gayle Foster - I feel very privileged to have been elected parent governor at Finchale since December 2015, especially having attended here as a child myself. My daughter is already at the school, and I hope my son will follow in a few years time so I have a vested interest in Finchale for a long time to come. I work part time as an Online Brand Manager, but my background is in performance and people management. Mrs Helen Wilkes - I became a governor in 2015. I am a former pupil of Finchale, I currently have 2 children who attend and one who attended but has now moved onto secondary school. I have worked as a secondary school PE teacher for the past 15 years, which I thoroughly enjoy and being a primary governor I feel I can give something back. I lead an active lifestyle, which includes playing competitive netball. Mr John McCourt - I started as an elected parent governor when my two children attended school at Finchale almost 30 years ago. I am now a Co-opted Governor with an interest in premises and grounds and finance. I live locally, although I am now retired from work, I do still enjoy coming into school putting my experience to good use and doing my best to help school prosper. 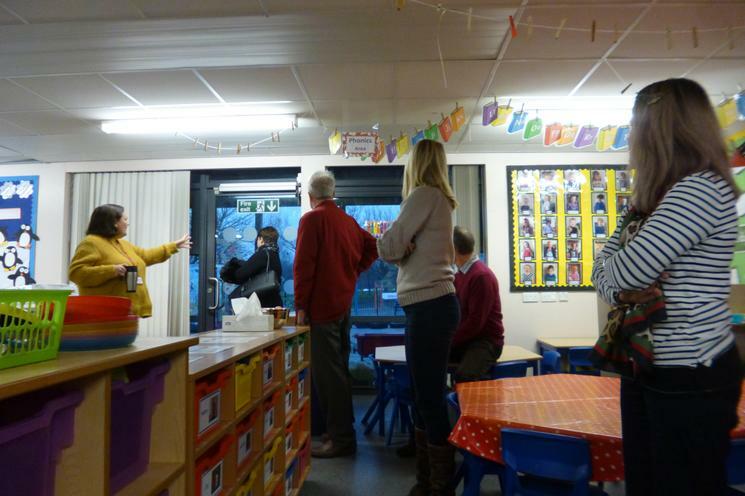 Mrs Susanne Jackson - I have worked at Finchale since 2012 and I am the School Support. I became a governor in 2017. My background is in Human Resources, management development and administration. I also have experience designing and looking after school resources. Mr Matthew Bainbridge - I joined the Governing body at Finchale in 2017. I am an Assistant Vice Principal in a Secondary school in Middlesbrough, where one of my main roles is staff development. My subject specialism is Mathematics, I was previously Head of a large Maths department in Hartlepool and I hope to offer lots of support to Finchale and help maintain the high standards already set. Mrs Jane Kemp - I was appointed as a parent governor in 2018 and am looking forward to being able to support the school. I attended Finchale as a child and now our two boys do. I have been an active member of the PTA for the last 4 years and enjoy helping with activities. I have worked in Children's Services in Gateshead (Youth Offending Team) for the last 18 years. I am also a respite foster carer for children with disabilities. Dr Vikki Maltman - I have been an elected parent governor since 2018. I have two children who currently attend Finchale school and feel very passionate about helping the school to continue to provide a safe and encompassing environment for all to learn and grow. I love volunteering to help out on school trips and am involved with the PTA. I am a scientist by trade, specialising in biological and biomedical sciences.